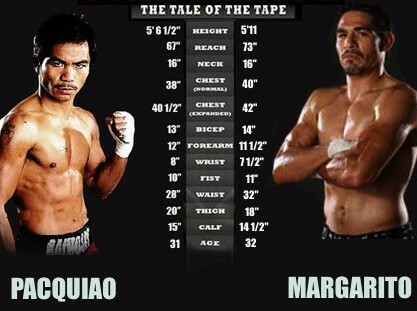 Everybody knows that when they come to watch Pacquiao and Margarito fight, they gonna see action. 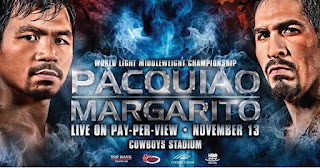 Its not gonna be more boxing, not gonna be more defense but gonna see more action. And people that might want to see action. On November 13th, Pacquiao will be moving up in weight to fight the WBC Light middle weight crown and a weight to 150 lbs. With the gigantic money bout, Margarito seems to be re-licensed. However it is the fan of Manny Pacquiao that would be let want it.